Der Baron – the new rugged Continental enduro tire (click to enlarge). The tire name “Der Baron” is not new at Continental, but the next generation now includes an enduro version. The previous model served as an all-rounder in 26 x 2.5” size. The new generation is more versatile, combining puncture protection with the new ProTection Apex technology, a multi-purpose tread pattern in Black Chili compound with a reasonable rolling resistance. Treads are placed at a regular distance to offer bite in all directions with good mud clearance. Made in Germany and available in 26 x 2.4”, 27.5 x 2.4” and 29 x 2.4”. Weights starting at 960g. For more details visit www.continental-tires.com/bicycle. 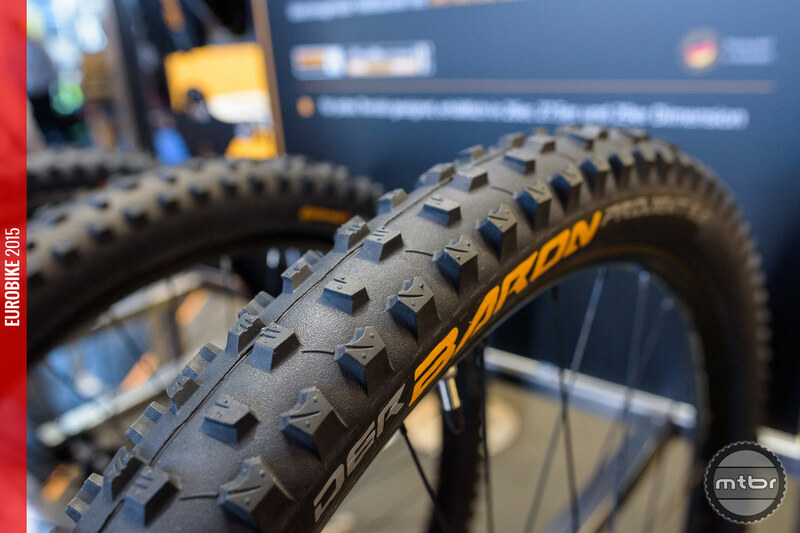 Der Baron – the new rugged Continental enduro tire.